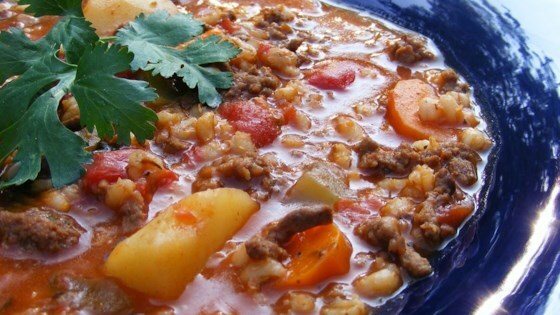 "A stick to your ribs thick and hearty soup, filling and very good. Easy and quick to make. A family favorite in our house! Serve with fresh biscuits." Didn't have barley so added half cup of rice. Pretty tasty on crackers!